Norman Borlaug (1914-2009) is a name that few may recognize, but the impact of his work still carries major ripple effects. As the father of the Green Revolution, Borlaug led a movement in agriculture that is credited with saving over a billion people from starvation by embracing the latest research and technologies to increase yields. 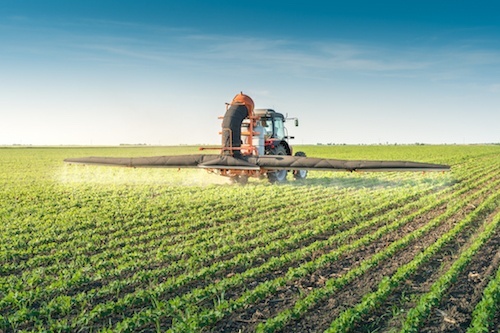 From the 1960s through the 1990s, agricultural advancements revolved mostly around chemical applications, genetically modified organisms and advanced field equipment. With the advent of the Internet, however, the legacy of Borlaug grew ever stronger. 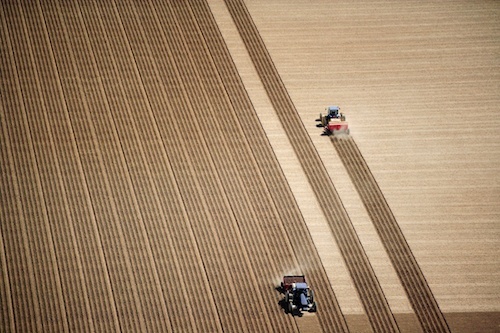 Precision agriculture soon allowed farmers to manage fields with a computer, and more recently, the Internet of Things has provided unprecedented access to field data. But that wasn’t enough for the scientific community. 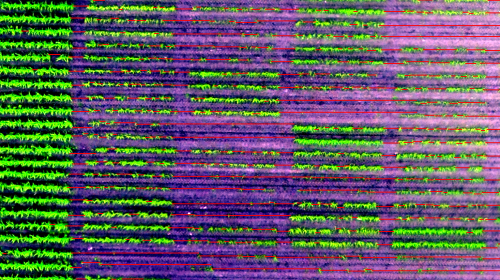 New remote sensing technologies, including drone and satellite imagery, now create a perfect storm for a fully-integrated, advanced agricultural data stack. According to a recent Skylogic Research report, the goal of remote sensing technology is to detect field issues in time to make adjustments that could increase farm efficiencies. While some growers have used satellite field imagery for decades, drones now offer a new ability to collect data at a faster speed. The result? A new billion-dollar investment opportunity has entered agriculture. Let’s take a brief look at how this new ecosystem is pushing agriculture to its limits—and beyond. • Drones, such as the Lancaster fixed-wing (pictured) or DJI quadcopter, offer the highest resolution of aerial imagery (sub-centimeter per pixel!) as well an array of sensors that detect invisible bands of light. Aside from image quality, the biggest potential for drones is their ability to provide field data in near real time. • Satellite imagery from companies like TerraServer (a division of PrecisionHawk) provides aerial imagery across vast distances for wide-scale analysis for the on and off ag season. This has been proven to be an effective method of analyzing potential yield trends across entire geographic regions. • Ground sensors have been proven to detect soil moisture, soil density and crop health. These technologies offer a consistent stream of information and notifications in parts of the farm that are unseen to aerial imagery. Geographic information system (GIS) computer technology along with specialized knowledge from geospatial experts have given rise to programs, such as DataMapper (a division of PrecisionHawk), that convert inputs of raw data into information that informs growers with never-before known field insights (e.g. plant count/height, vegetative index readings, canopy coverage, and much more as new algorithms are developed). 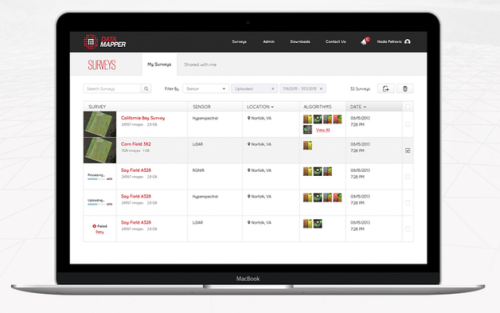 Existing sophisticated farm management platforms continue to evolve by ingesting information from new GIS tools that can translate information into instructions for both growers and field platforms. Smart-farm equipment is the grand finale within an advanced agricultural data stack: precision ag data is applied to the field in ways that impact planting, chemical and water applications, yield outcomes and more. Cue the Green Revolution 2.0: a new wave of agtech has crashed at the shores of our growing planet. Hardware and software advancements are literally allowing farmers to see the invisible and react accordingly. It may be the stuff of science fiction, but it’s already arrived—just in the nick of time as our planet’s population continues to steeply rise. What is PrecisionHawk's role in this new ecosystem? 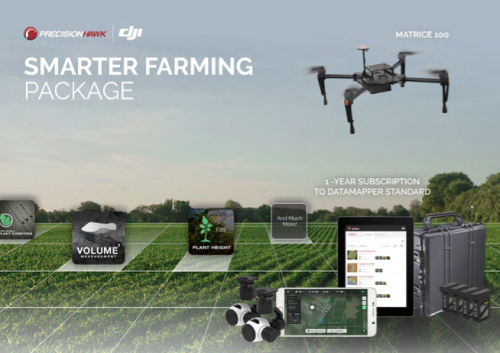 Learn more about our solutions in agriculture and our Smarter Farming Package.